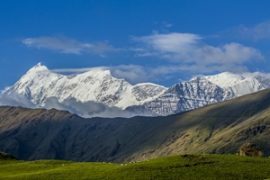 This is the ideal beginning to introduce people who want to explore Himalayas much more than that of a regular tourist yet staying in the comfort of Tea House. 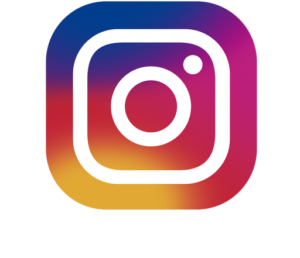 The places covered in the trek promises almost everything that a high altitude Himalayan trek offers. 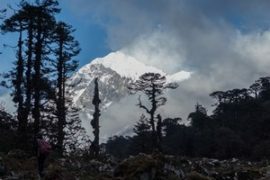 Pristine canopy of forest around Chopta, blooming Rhododendrons in Spring, to foliage in autumn. Wildlife around Chopta is well know. 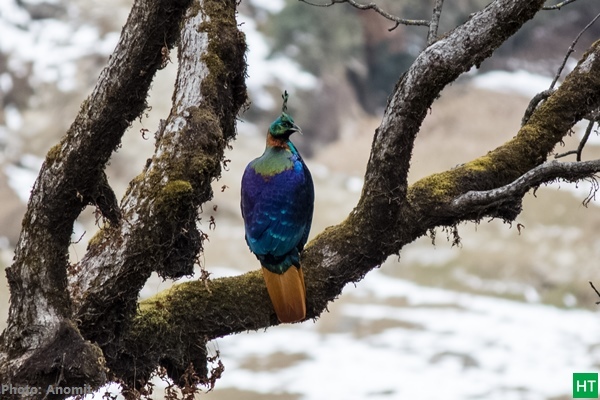 Exploring the Kedarnath Wildlife Sanctuary may produce a glimpse of Himalayan Thar or the Himalayan Monal, state bird of Uttarakhand. 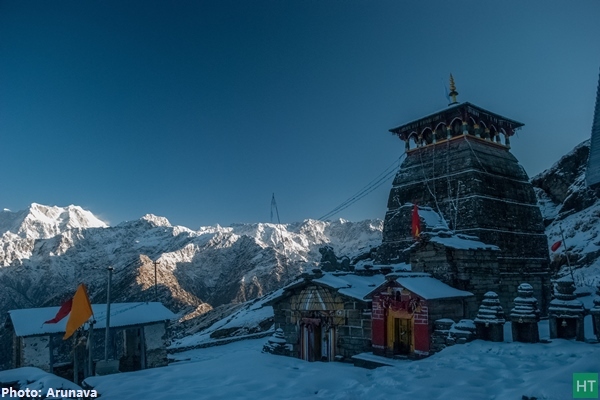 Tunganath , at an elevation of ~3600 m/11500 being the highest of Panch Kedar, the five holy shrines of Lord Shiva (The other four are, Kedarnath, Madmaheshwar, Rudranath and Kalpeshwar). 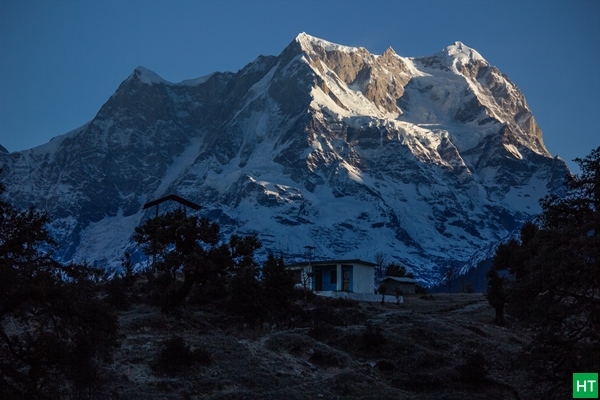 Sunset from Tunganath on Chaukhamba is compelling. Chandrashila, a small peak above the temple is just an hour walk. 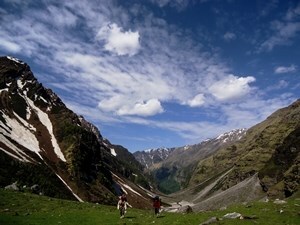 Often it is referred as the ‘Switzerland of India”. 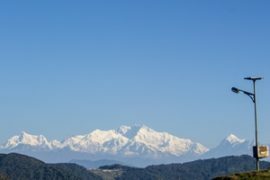 180 degree panoramic view from the top covers numerous peaks of Kumaon (including Nandadevi, Trishul ) to far western peaks of the Kedarnath area. 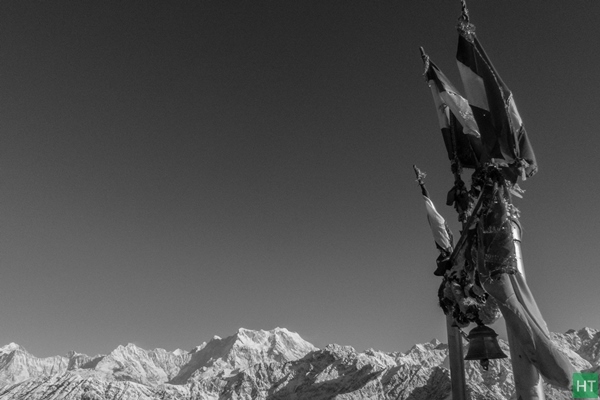 The four pillars of Chaukhamba standing above 7000 m/23000 ft are so close that you have to zoom out your camera . This is not all at all! 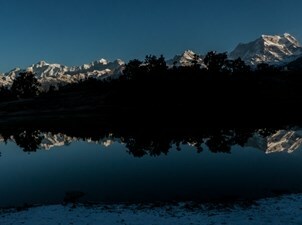 Deoriatal, a lake hidden inside the valley at a much lower altitude but yet the mountains and reflections on water are massive. 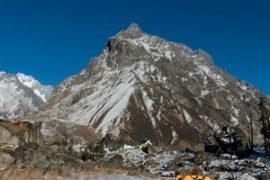 This trek can be done almost throughout the year apart from few months of monsoon. It has to offer something unique in each season. Fresh snow in winter and flowers in spring are a delight to watch. 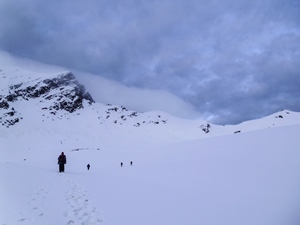 Even till late of spring, Tunganath and Chandrashila remains covered with snow, and it is fun to walk indeed. Day 1: Drive from Haridwar to Sari via Ukhimath – 220 Km by car – 9/10 hours. Lodge accommodation. 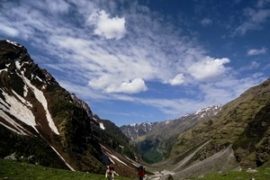 Duration: 3 days of trek; Haridwar to Haridwar in 5 days. Highest Point: Chandrashila ~ 3800 m/12500 ft. Seasons: April to June and October to January. 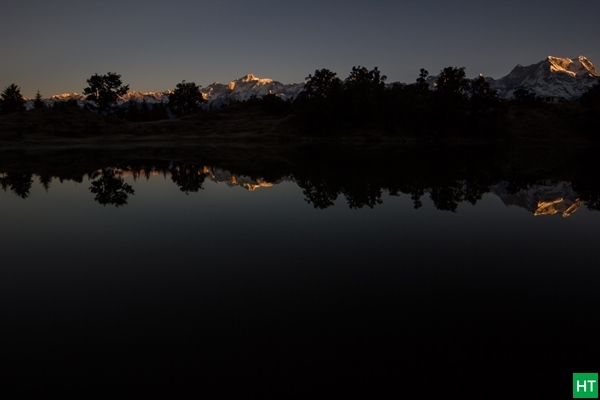 Access: Trek starting point is Sari and end point is Chopta. You can check the scheduled Fixed Departure dates in the calendar available inside Booking Form or inside REGISTER NOW form. Tour starting Dates are highlighted as per our itinerary (Day 1 of 5 days itinerary). Trekkers need to reach Haridwar on Day 1 morning (latest by 7 am) or the previous night. Return to Haridwar on Day 5 evening (around 6 pm). Arrange your tickets for inward journey and return accordingly. 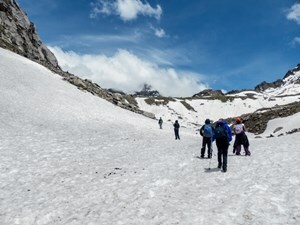 Access to Chopta (The trek base): Depending upon the trek members we will arrange a pick up and drop from Haridwar to Chopta and return from Sari to Haridwar. This will be shared equally by the team members on actual basis. 1) Take an early morning bus from Haridwar to Rudraprayag. Change here for Ukhimath. From Ukhimath hire a cab for Sari which is 15 Km. 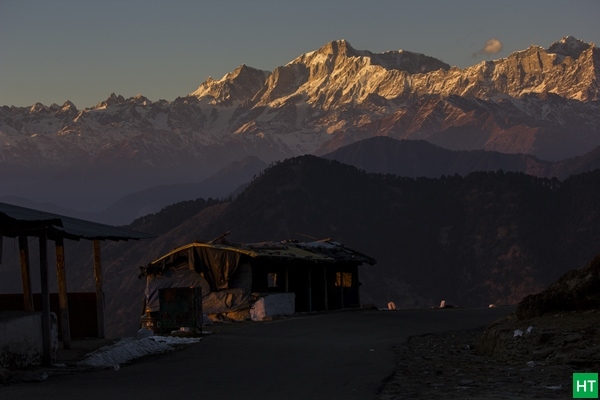 2) While returning from Chopta, hire a cab for Ukhimath in the morning. From Ukhimath change for Rudraprayag and then to Haridwar by bus. Pickup from Haridwar in the morning and reach Sari (~ 2300m, 7500ft), 220 Km away. The journey may take around 9/10 hours with a break or two. CLICK HERE For List of Things to Carry in Deoriatal Chandrashila Trek OR DOWNLOAD PDF BROCHURE. 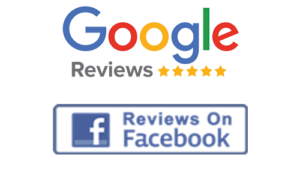 CLICK HERE For Booking and Cancellation OR DOWNLOAD PDF BROCHURE. One night lodge accommodation at Sari (Day 1) on sharing basis and dinner. All night accommodations in tents (3 persons tent) on sharing basis during the trek. Transportation from Haridwar to Sari and return from Chopta to Haridwar. ₹ 6000 for a Tata Sumo and ₹ 9000 for a Tempo Traveller, one way. You pay directly to the driver, sharing equally. We assume that you will carry your personal Rucksack/Backpack with all your personal belongings. If you want to offload your Rucksack and be carried by our Pack Animal/Porter then you need to pay additional ₹ 1000 for Sari to Deoriatal and back. The Rucksack should not weigh more than 10 Kg.